Home Weird Enormous ‘Lake Monster’ Washes Up On Shore In Manchester, England! 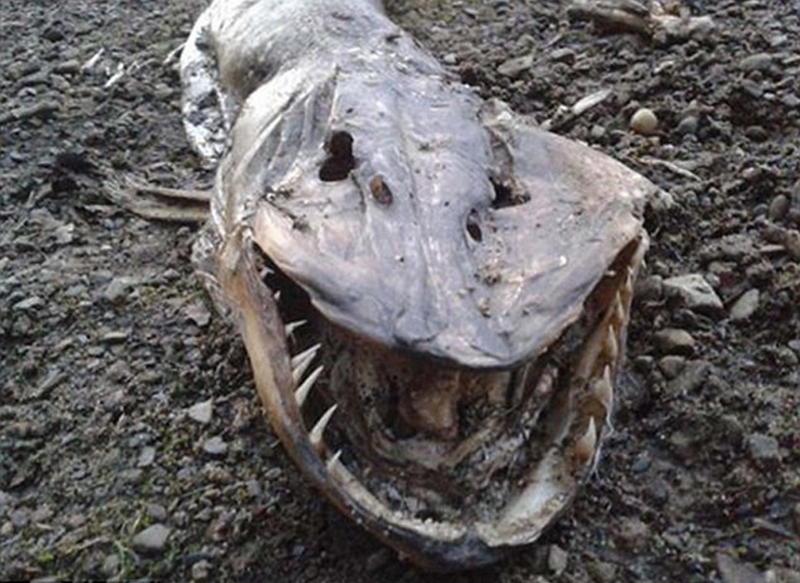 Pictures of a mysterious creature’s remains are currently doing the rounds on Facebook and causing quite a stir. 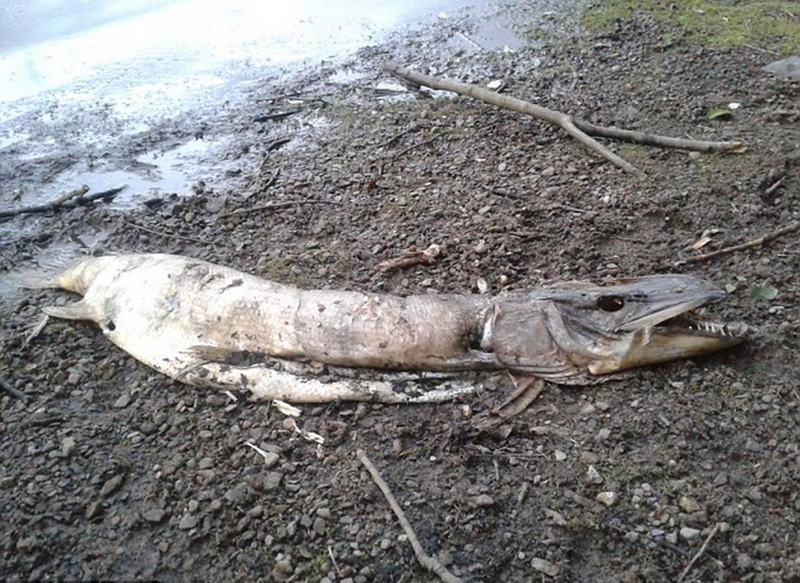 The body washed up on the shore of Hollingworth Lake in Rochdale, Greater Manchester, England, recently. And since being posted on the social networking website, interest has sparked, leaving people scratching their heads. 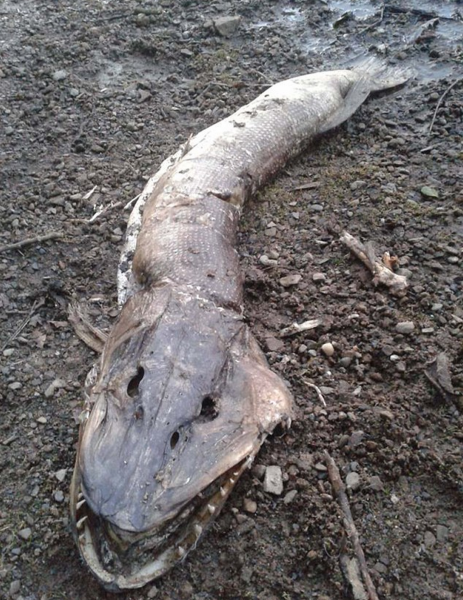 There has been talk in the area for some time that the lake is home to ‘a lake monster’, after dozens of people independently reported having seen an unusually large creature in the water. But no official investigations were ever launched and no searches carried out. But while some are happy to certified the discovery as ‘an ancient lake monster’, others are taking the find much more calmly and suggested that there’s a more rational and logical explanation. The lake is home to plenty of pikes. And while it’s unusual to find one measuring in at this size (over 5ft…), it is a distinct possibility. The pictures are currently going viral on Facebook, with an intense debate raging as to the nature of the beast. Dr. Ryan Harvey-Warner, a zoologist from nearby Chester Zoo claims that there is a chance that the animal may be an undiscovered type of fish. A pre-historic type that’s carnivorous. 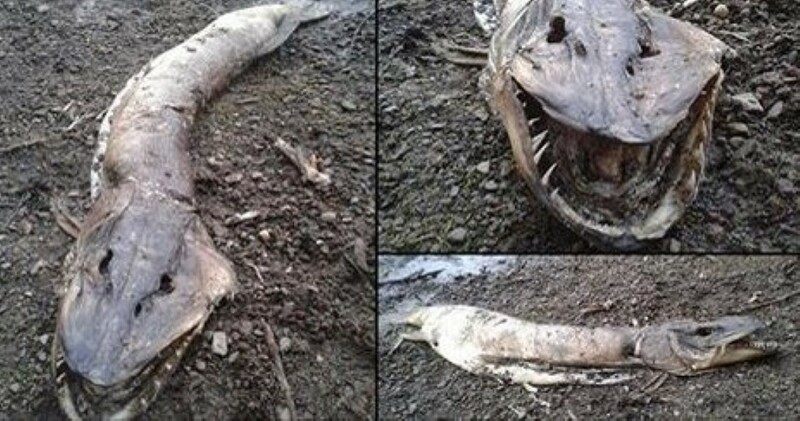 The ‘monster’/pike was found by 32 year-old local Jonny Beckett who said he was ‘stunned’ when he stumbled across it during a ‘romantic walk’ with his girlfriend. Previous articleJohn Cena And His Wrestler Girlfriend Are RIDICULOUSLY Competitive With Each Other!